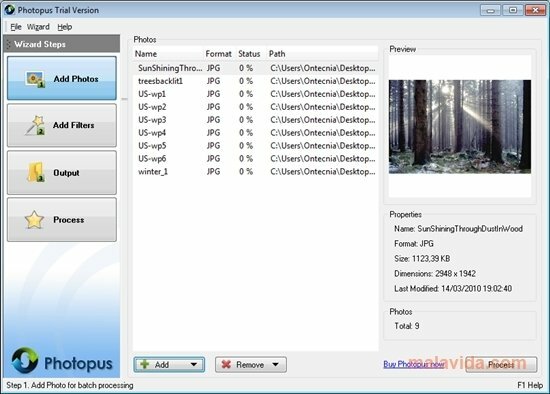 Photopus is a tool with which you will be able to modify batched image files, thus saving a lot of time. With the mass access to digital photography, the possibilities that are available when it comes to improving images increase. 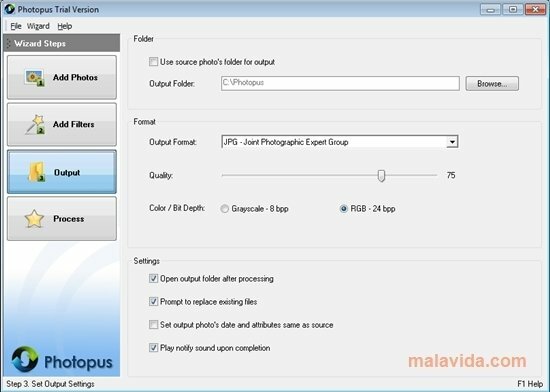 Photopus will allow you to modify all the photographs at the same time. You will be able to change their size, rotate them, crop them, apply effects or adjust their color. 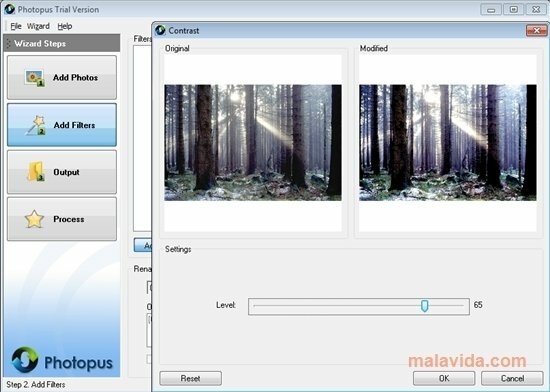 Using Photopus is very simple: first you have to select the images that you want to modify. You can do so one at a time, or by selecting the folder that contains the photos. Once you have all the images, you can add all the modifications that you want: adjust the color by changing the contrast, brightness or saturation; transform the images by modifying their size, rotating them or cutting them; and last of all, you can apply any of the many filters that Photopus has to offer, like sepia color, blurring or water effect. And now you only have to let Photopus to do all the work. 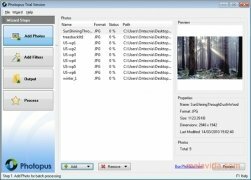 After choosing the folder in which the photographs will be saved, and the output format, that can be JPG, PNG, TIF, PDF, TGA or ICO, among others, and it will transform all the images in seconds. 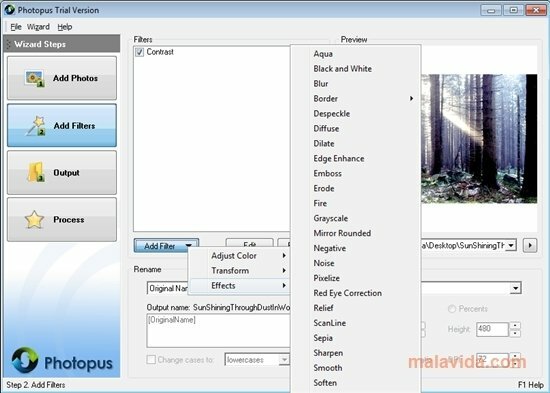 Try Photopus and save a lot of time and effort changing photographs. The trial version adds a watermark to the images that are created.